I like to read quotes for writers at the end of the day. Some inspire, some make me laugh, and some I nod my head in agreement. Doctorow’s quip gets my vote!!! Doctorow’s is a winner. 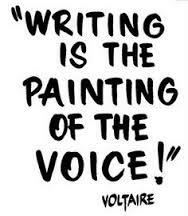 I think, for me, Voltaire’s is a tie with Doctorow.